Located in the elevation of 1,200 meters, the pond mirrors the shifting seasons of Togakushi mountain range. The fresh green of spring and the cool breeze of summer are equally beautiful, but no match for the breathtaking scenery of fall, when the entire mountain range glows in autumnal colors. 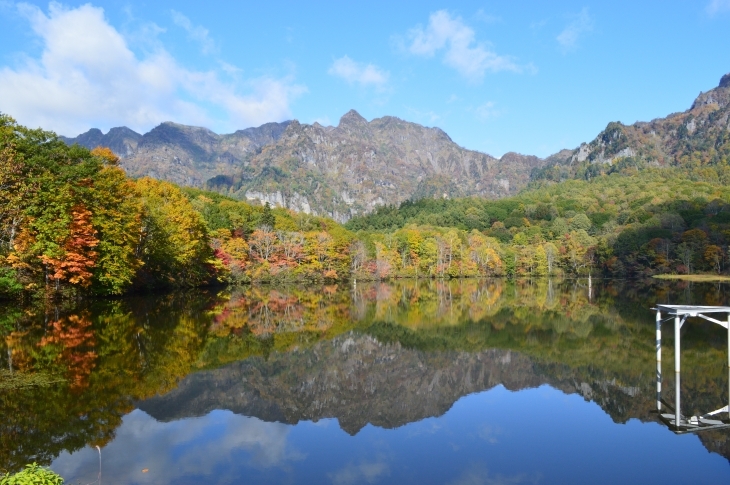 Morning is the best time to experience the pond mirroring the Togakushi Mountains. 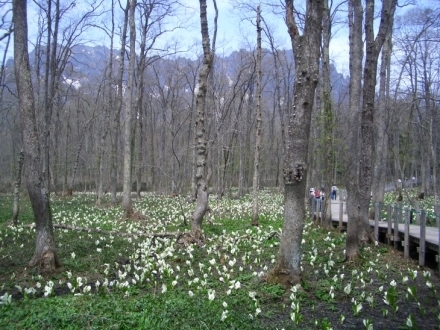 It also has promenade around the pond, which is connected to Togakushi Forest Botanical Garden. Approx. 34 km from Suzaka Nagano Higashi IC, approx. 20 km from Shinanomachi IC, or approx. 60 min on the bus to "Togakushi Campground" from JR Nagano station, get off at "Kagamiike Iriguchi" stop and walk for approx. 40 min.